Although game development takes up a lot of our time, we’re also passionate gamers in our spare time. In this weekly item, Grendel monsters will tell about their favorite game they are currently playing. This week Jan-Jaap holds the pen. 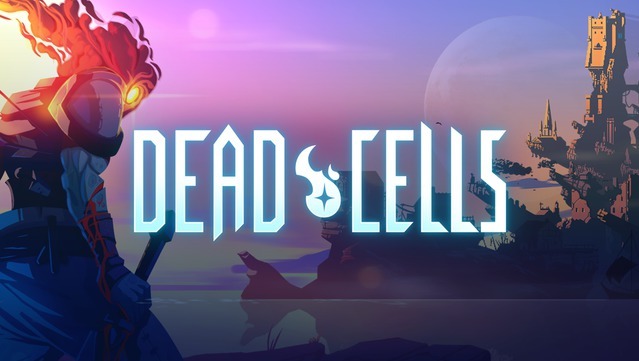 Either way, we’re actually not that different from the Beheaded, as the protagonist in Dead Cells by Motion Twin is lovingly called. A crawling mass of goo trapped on an ever-changing prison island. Scuttling about, feeling around for a body to possess that will allow him (it?) yet another chance at fighting a way out of the prison, off of the island, and away from the Malaise that seems to have infected everyone on it; a bunch of curious creatures that you meet for the first time, but who somehow seem to have seen you many times before. You could call Dead Cells a roguelike metroidvania. The game features intense combat – Dark Souls-difficult – and platforming elements in a randomized environment. Defeating enemies nets you ‘cells’, a currency used to unlock new weapons and abilities at a character called The Collector, from then on available to you on all of your future runs. I still wonder what that guy does with all those cells I bring him. A depressing-sounding premise for sure. It shouldn’t capture my attention the way that it does. And yet, after having just completed the game for the first time and being rewarded for it with my first ‘boss cell’, back I go again to level one, to start a fresh run once more. Dead Cells meticulously keeps me hanging on the edge between rage-quit and just-one-more-try-I’m-sure-I’ll-get-it-right-now. Runs are sometimes short, gathering a couple of cells to unlock a new bow I want to try out, and sometimes they’re longer, allowing for the combination of just the right gear, just the right status effect synergies and survivability stats, with everything brought together by just the right control inputs to flow through the levels and defeat those enemies. In Dead Cells, as in life, no one’s really sure what happens after you ‘win the game’. Is there even such a thing? What will happen with the glob of cells and DNA, the consciousness, the personality? Until we find that out, there’s really nothing else to try than to get it right this time. And I will get it right this time.